I will begin the review with my story. I am renting an apartment in New York and it sits next to the landlord’s apartment. I was happy as he provide the cable and Wi-fi for free. However, signal of the Wi-fi network is strong in my bedroom but very weak in my living room because it is further to the router in landlord’s apartment. I almost can’t use Wi-fi in my living room and that’s a big problem because we just can’t work on the bed all day. While I was looking for solutions, I got contacted from Amped Wireless and they want me to try out their REC10 Wi-fi range extender. Thanks for providing me the device for review. Let’s read on for my experience of using the REC10 extender. Firstly, let’s take a look at my unboxing video and some images of the Amped Wireless REC10. I totally love the design of the REC10, it is just so simple, clean and gorgeous. I’d not be surprised if someone said this product is designed by Apple because it is very close to their style. The front is covered with transparent plastic and it makes the whole design much more elegant. It would look better with tempered glass but it would increase the price as well. And I believe most people can’t see the difference when they stand just a few feet away. There is only one wired post on the bottom that you can use to connect to any device or bridge an additional network. 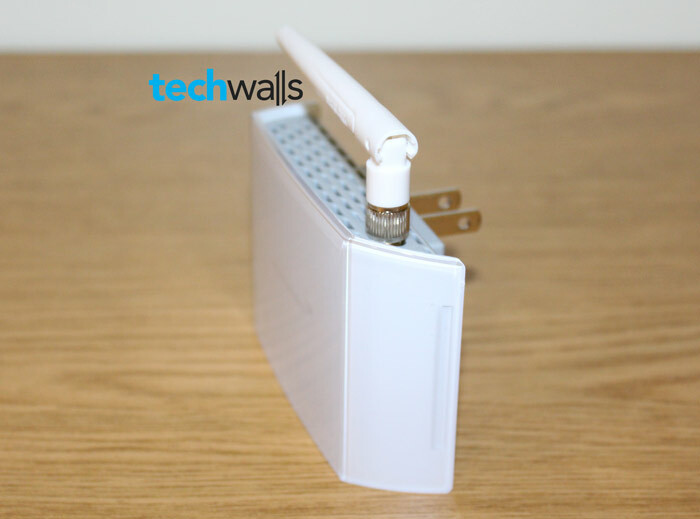 This must be the most compact Wi-fi range extender you can find on the market. It is just the size of a 4-inch smartphone but thicker. There is also no mess of cables and power cord. All you need is just to plug the device directly into your power outlet. It is just amazing. Setting up the device is also very easy. 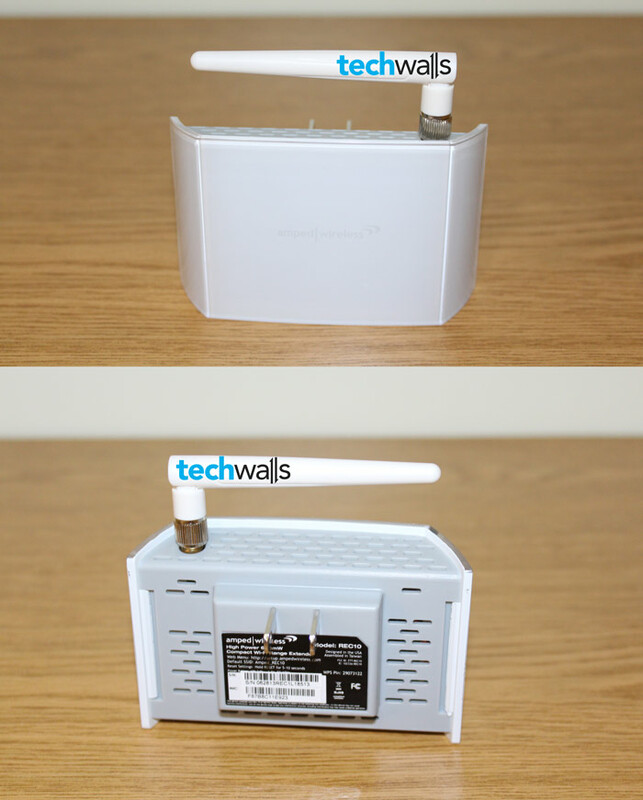 I wrote a tutorial to set up the REC10 Wi-fi range extender, it will take less than 10 minutes and you don’t need to touch the router. The REC10 is advertised to cover 6500 square feet. You can think the number is huge but actually it provides coverage in round shape. Therefore, it can provide good coverage in the radius of about 30-40 feet, and it works perfectly for my 500 square foot apartment. I plug the REC10 on the wall between my living room and bedroom, where the signal strength of my router is about 80% and greater than its recommendation of 70%. Now all corners in my apartment have full bars for the extended network. There is just nothing to complain about the coverage. I even still get some bars when I walk to the driveway. Besides, I am impressed with its smart security features that I can restrict access and set time schedule for when the network. I record the speeds of the extended network and the existing network at a weak spot of my network, and here is the result. The extended network gets Ping 25ms, Download 15.50 Mbps and Upload 5.24 Mbps while the existing network gets Ping 25ms, Download 9.69 Mbps and Upload 5.57 Mbps. So, we can see that the network is improved in terms of speed in weak and dead spots. However, this is still not a perfect solution. Sometimes, I see that my tablet or laptop is disconnected from the extended network and it connects automatically to the existing network from my router that is much weaker. In another case, I start my computer and sometimes I was unable to connect to the extended network as well although the signal bar is full. Then, I have to wait a minute and everything is back to normal. Beautiful design and no cord or cable clutter. Works with any 802.11b/g/n router. The extended network is not reliable sometimes. Although the extended network get disconnected a couple of times per day, it still works great most of the time and I will see if it could be better in the upcoming time. 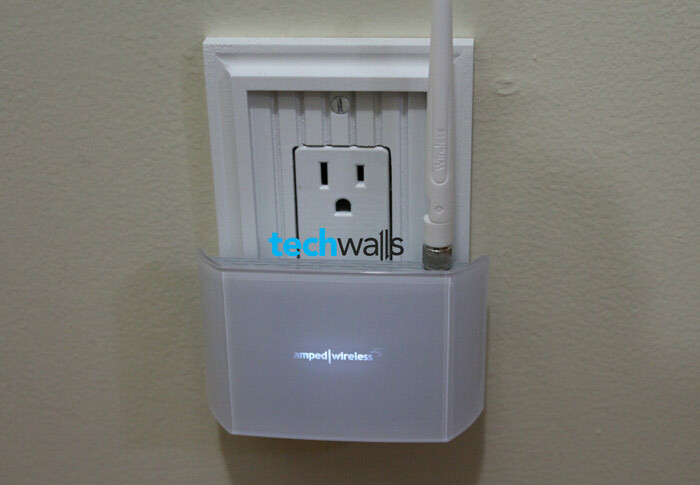 If you are interested in extend your home network, this is still a good choice. The REC10 is available on Amped Wireless website or Amazon for around $70. That could have been a perfect Wifi range extender if the network is more reliable.